The Iowa PGA Pro-Assistant / Pro-Pro will be the first professional event of the 2018 season. The tournament takes place Monday, April 23 at Briarwood Golf Club. The shotgun start event will begin at 10 a.m. The Pro-Assistant / Pro-Pro event is a team event only. There is no individual event associated with this tournament. Click here for tournament information and pairings. The Iowa PGA Junior & Pee Wee Spring Series #1 is Saturday, April 21 at Terrace Hills Golf Course. All groups are teeing off the first tee, with the first Junior group teeing off at 10 a.m. The Junior boys 12-18 age division and the Junior girls 14-18 age division are playing 18 holes, while all other Junior age divisions will be playing nine holes. Click here for complete pairings, tee times and general tournament information. Tuesday, April 24 is the last day to register for the Mizuno Golf 36-Hole Classic at TPC Deere Run. Click here to register. The Iowa Cup Matches is the next event after the 36-Hole Classic. 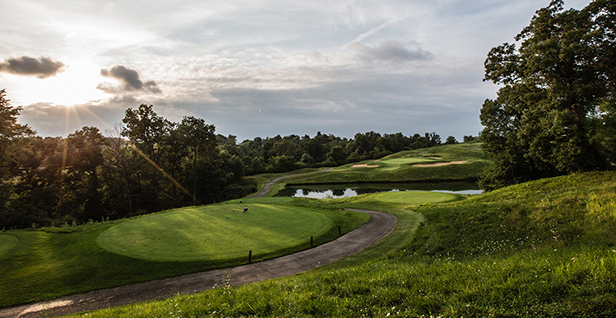 This Ryder Cup format tournament will be held at Spirit Hollow Golf Course on May 2-3. This annual competition features the top Iowa PGA Professionals against the top Iowa Golf Association Amateurs. The IAPGA Spring Junior Open and Spring Pee Wee Open will be held on April 28-29. Registration for these events close on Monday, April 24 for the Juniors and Tuesday, April 25 at 11:59 p.m. for the Pee Wees. Click here to register. The Spirit Hollow Junior Classic is coming up. This two-day event will be held at Spirit Hollow Golf Course on May 5-6. Registration for this tournament opens Tuesday, May 1. To keep up with all the Iowa PGA’s news and updates please visit IowaPGA.com or visit the all new IowaPGAJuniorGolf.com website, and follow us on Facebook, Twitter and Instagram.